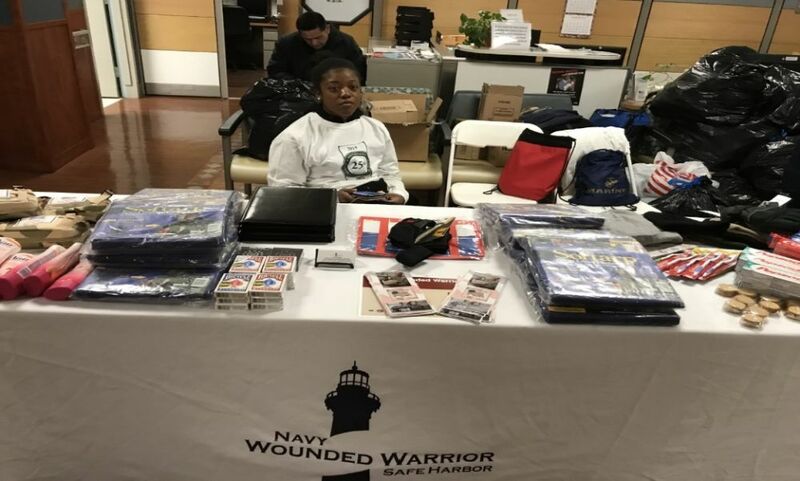 On Saturday, January 26, 2018, the National Association of American Veterans, Inc. (NAAV) participated in its fifteenth year of helping homeless and at-risk Veterans of the greater DC metropolitan area at the DC VA Medical Center’s (VAMC) Winterhaven Stand Down for Homeless Veterans, along with collaborative partners representing agencies, organizations and volunteers. 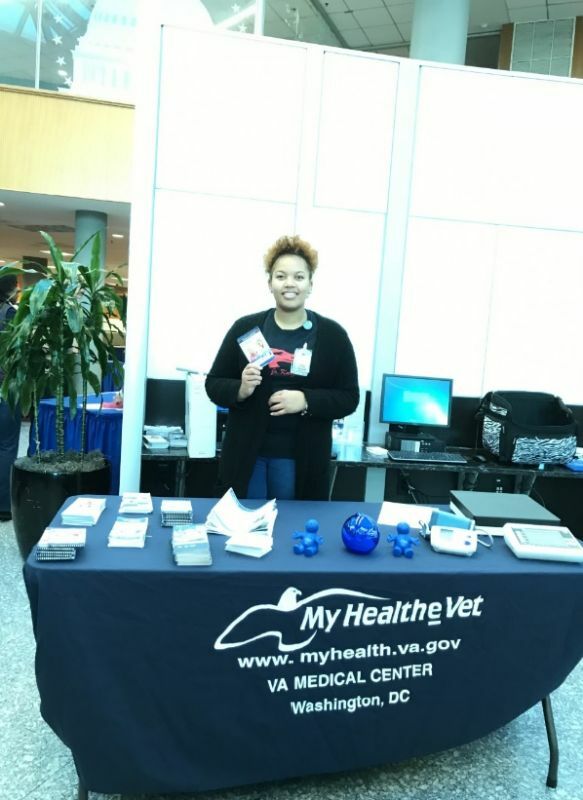 Attendance numbers indicate that over 667 Veterans consisting of 577 males and 90 females received services at the 25th Annual VAMC event. The National Association of American Veterans, Inc. (NAAV) was not only positioned, but poised to serve alongside a team of dedicated Veteran Service Organizations (VSOs), including but not limited to the Veterans Affairs, Disabled American Veterans, American Legion, Family Assistance Center at WRNMMC, Easter Seals, People Helping People Foundation, Operation Renewed Hope Foundation, and the Department of Housing and Urban Development (HUD), who NAAV partners and campaigns with on numerous occasions and events. Services were offered from over 70 participating federal, state and community agencies. Supports Services included: Vet Centers, Employment Support, Education Support, Free Tax Preparation, Transportation Assistance, Navy Wounded Warrior Safe Harbor, Soldier & Family Assistance Center, Veterans Benefits Administration, Veterans’ Service Organizations, Vouchers for Thrift Store Clothing, Boots and Warm Clothing Distribution. 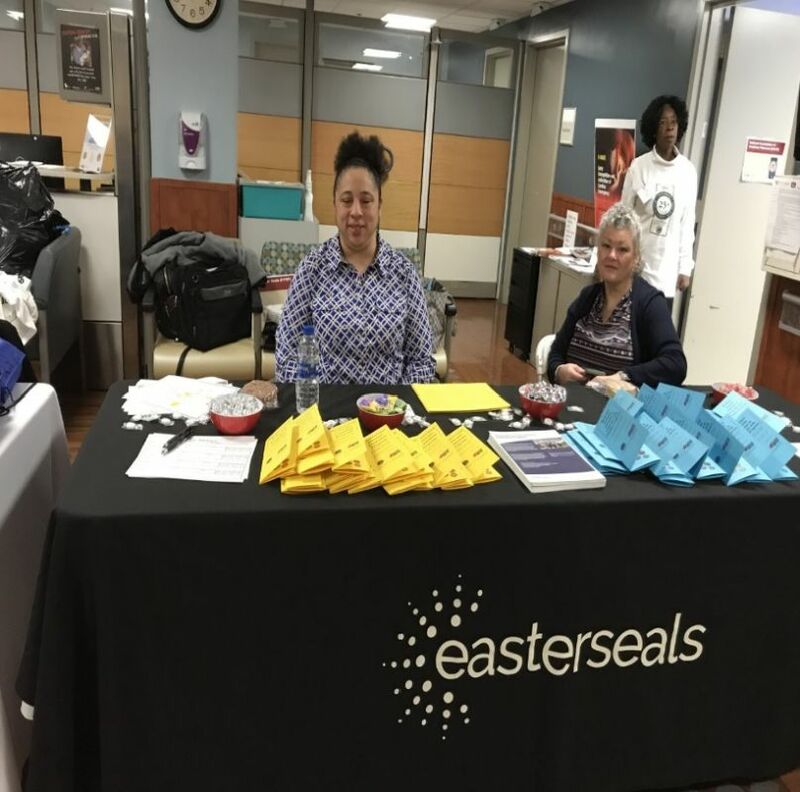 The 25th Annual Winterhaven Homeless Stand Down was met with the same elation and commitment to service by hundreds of others and attributed to NAAV’s 15th year of participation. 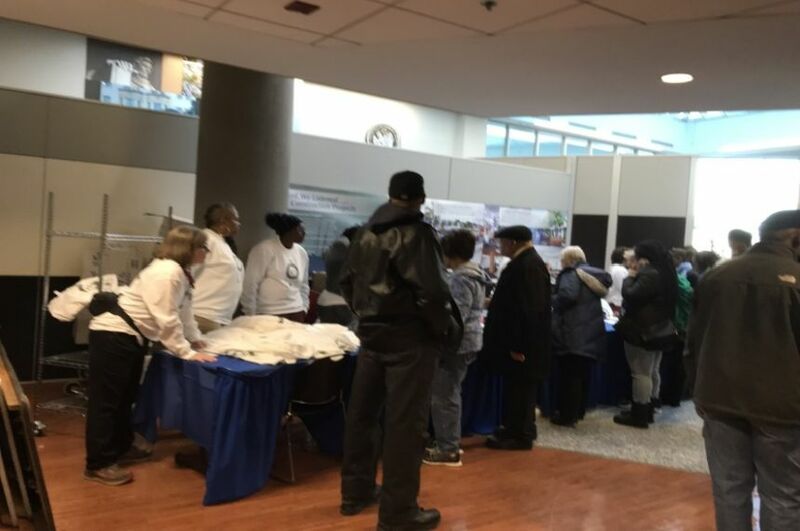 This year, NAAV secured its familiar spot in a corner room of the Orange Section delivering a steady stream of assistance with claims and benefits, free information booklets, and special gifts for Veteran attendees. The Department of Veterans Affairs (VA) offers many benefits designed to help homeless Veterans and their families live as self-sufficiently and independently as possible. These benefits include: Outreach to Veterans living on the streets or in shelters who need assistance; Clinical assessment and referral to those needing medical treatment for physical and psychiatric disorders, including substance abuse; Long-term sheltered transitional assistance, along with case management and rehabilitation; Employment assistance and connection with available income supports; Supported permanent and/or transitional housing. The VA Women Veterans Health Program is committed to providing services to women Veterans such as emergency shelter, transitional housing programs and permanent housing. Some services are also available to homeless women Veterans with dependent children. For more information contact your nearest VA facility at: www.va.gov/homeless or call the National Call Center for Homeless Veterans to be connected to a trained VA staff member at 877-424-3838. What’s more, during this event, the VAMC provided medical services, clothing, shoes, winter blankets, coats, as well as assistance with claims and benefits, housing, psychological services for PTSD & trauma services, substance abuse, mental health, legal and nutritional counseling, oral health, eye exam, podiatry, women’s health, general metro and bus transportation, employment, health screenings such as influenza and H1N1 shots, prostate screening, cholesterol check, consultative services, personal care items, and distributed vouchers for thrift store clothing. 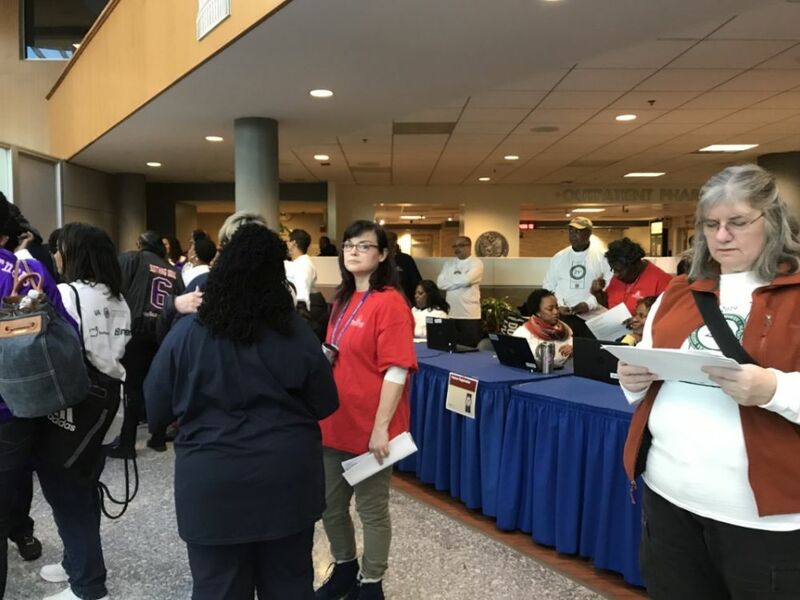 It is also reported that Veterans received haircuts, educated on HIV and risk reduction, rapid oral HIV test, while hundreds of volunteers, staff, and community partners provided their unique services to all Veterans in attendance at Saturday’s event. 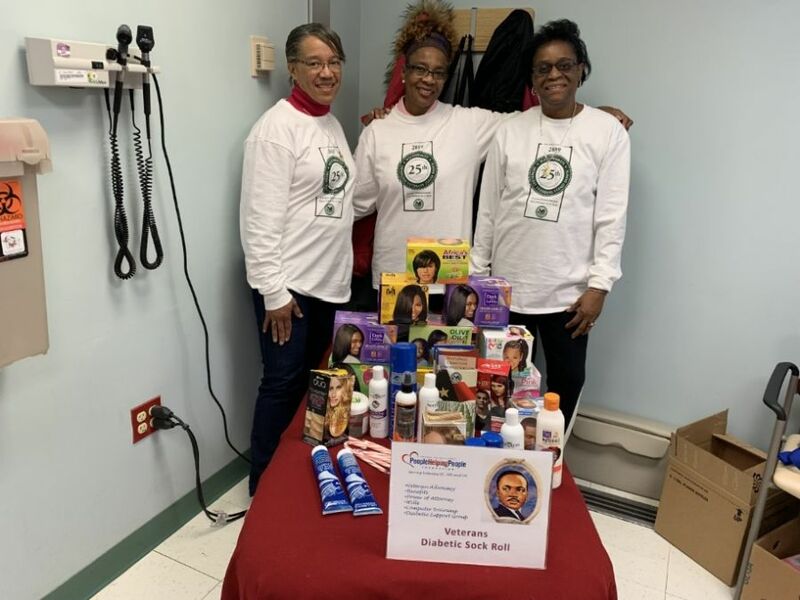 Homeless, low-income, and economically disadvantaged male and female Veterans, and their families residing in the Washington metropolitan area also participated in this year’s event. NAAV routinely supports HUD and our housing partners at NCRC in their efforts to improve the quality of life for homeless male and female Veterans and their families. Meeting the challenges of homelessness is a top priority among our partners. The U.S. Department of Veterans Affairs Community Resources and Referrals Center (CRRC) located at 1500 Franklin Street, NW, Washington, DC 20018. The center is one of 17 facilities that the VA opened nationwide to help eliminate homelessness among male and female economically disadvantaged Veterans. According to nationwide statistical estimates reported by U.S. counties, there are approximately over 52 thousand homeless and unsheltered veterans living amongst the population; and another 23+ thousand veterans listed as sheltered. *Point-in-Time (PIT) Nov 2018-estimates (www.hudexchange.info). The CRRC is open 24/7 to assist Veterans and their family members and provide services to homeless and at-risk Veterans, and also includes a Primary Care Clinic, a complete kitchen, laundry, shower facilities, a food pantry and a play room for children, as well as a host of other community services. This 25th annual event was no different from the many previous years other than to show that the commitment to serve and support our American Veterans and their family members is still a challenge yet compassionate display of how we as a community and country can join together, and a stark reminder that there is still so much more to do! Please keep your donations, prayers, volunteering of time and services counted towards our efforts to help refresh and reshape the lives of our Veterans men, women, and their families. There is truly a need out there to support our nation’s Veterans, those who made great sacrifices. To donate online visit: https://www.naavets.org click on DONATE TODAY! NAAV’s designated CFC number is 85065, please visit: www.cfcnca.org to donate through February 8, 2019. Thank you. A special thanks to Constance A. Burns, CEO, Founding President and Veterans’ Service Officer, NAAV, Inc. and NAAV Board of Directors, Advisors, and Supporters for their continued support and professional assistance on behalf of the National Association of American Veterans. Inc. and those we serve. Thank you for supporting NAAV and helping us to accomplish our mission step by step and day by day. Constance A. Burns, NAAV, Inc. This entry was posted in News and Events, Organization News, What's New. Bookmark the permalink.